I am participating in my 3rd Facebook Frenzy! For the next 4 days, you can pick up tons of free resources by hopping along! I am participating in the K-1st hop, and there are two more hops to check out, 2nd-3rd and 4th-5th! You can pick up my ordinal numbers pack. It includes clip cards, ordering cards, and worksheets. Head over to my Facebook page and click on the FB Frenzy tab to get started! These look so cool! I don't have a facebook page so I'm not able to access but thanks for sharing your ideas!! I have hopped over to your store to look around!! 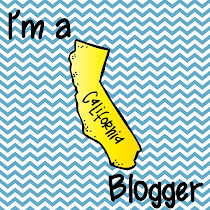 I just started following you on Blog Lovin'. I found you during the FB Frenzy and really love your costume parade product. I am relatively new to selling and blogging and had the opportunity to join in on a linky so I thought I'd invite you to join as well. I have joined up in a "Boo" linky and have decided to "Boo" you! Visit my blog for the details of how to participate. I hope that you join in the fun!